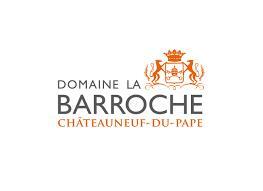 History: Domaine la Barroche is a family estate that has been passed down from one generation to the next since the 14th century. Julien's father, Christian Barrot, is passionate about viticulture and has taken meticulous care of the family's 12.5 hectare of vines since the early 1970's. Until Julien joined his father back in 2002, all of the wine had been sold in bulk to negociants. Now, half of the Grenache vines are more than 100 years-old and are some of the oldest found in Châteauneuf-du-Pape. Julien has moved to completely organic viticulture (not certified) and his father is still following his passion and continues to work in the vineyards. Taking all of his father's work to the next level, Julien is now vinifying each grape variety and some parcels separately, studying and learning his holdings parcel by parcel. Terroir: "You cannot make a great wine without a great terroir, and a great terroir is nothing without the winemakers love for his vines." –Julien Barrot. The vineyards are mainly in the north/north-east sector of Châteauneuf-du-Pape. Each parcel has a unique terroir. Fine sand in Grand Pierre (next to Rayas) produces elegant and velvety Grenache from vines planted around 1900. From Grand Pierre one foudre of "Pure" is made per year. Fifty-year old Cinsault grows in Les Cerises with golden galets stones and produces a full-bodied and powerful wine. Grenache vines average forty years old in Pied-Long and Cabrières with a sandy, marl soil with some clay. There is another parcel of 100 year-old vines in Terres Blanches with a sandy, clay soil mixed with stones. There are also two more parcels of centenary vines in Palestor and Cabrières. Overall, most of the vineyards are on a sandy soil and vines average 65 years-old. The wines are characterized by silkiness, exhibiting freshness and finesse. Winemaking: The gravity-fed cellar was built in 1930. A four to five week pre-fermentation cold-soak maceration happens in large epoxy-lined cement tanks that are built right into the ground. Pumping-over takes place for a gentle extraction. Ripe stems are kept and the amount varies from year to year. Natural yeast found on the grapes starts fermentation. The wine is moved from one vat to another by gravity without pumping or racking. Aging takes place over 18 months: in old oak foudres for the Grenache, one to three year-old barrels on the Mourvèdre and Syrah (aged on the lies) and stainless steel on the Cinsault. The wines are bottled unfiltered. In 2015, a new cellar was built, but the vinification and aging of the wines has not changed. The cellar works with gravity so that wines are very gently moved and wine making is best described as non-interventionist. Given the exceptional age of the vineyards, two cuvees are bottled: a prestige cuvee, Châteauneuf-du-Pape "Signature" and a very small amount of Châteauneuf-du-Pape "Pure" from centenary Grenache vines. An entry-level "tradition" Châteauneuf-du-Pape is not bottled by Domaine la Barroche. The Barroche vineyards lost over 65% of their Grenache fruit in 2013, Julien Barrot told me, "but the Mourvèdre, especially, and the Syrah came in fantastic, which provided some compensation." Needless to say, production was off by quite a bit in '13 and there will be no Pure made, as that wine relies entirely on Grenache. Looking at the bright side again, Julien said that he was able to make a Fiancée bottling in '13 given the high quality of his Syrah, but he told me that he will only include this bottling in his yearly lineup "when there's great Syrah." The style here is moving steadily to what Barrot calls "lower alcohol, more spicy and more floral" because he has become less enamored of "massive wines." In fact, alcohol levels have been steadily declining here in recent years (the '13 Fiancée checks in at a svelte 14.3%, for example) and will likely continue to do so, "but not to where the wines' flavors and intensity are at risk."